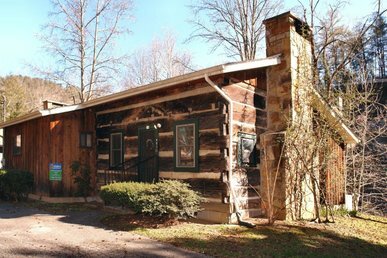 This antique two bedroom, one and a half bath log cabin is located within walking distance of downtown Gatlinburg and sits on the Little Pigeon River! 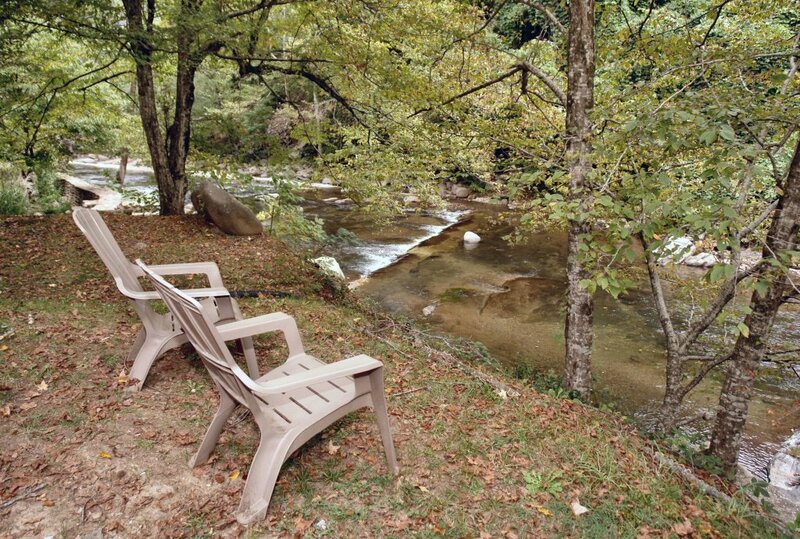 Listen to the soothing sounds of the river as you sit on your screened in porch or soak in the hot tub. 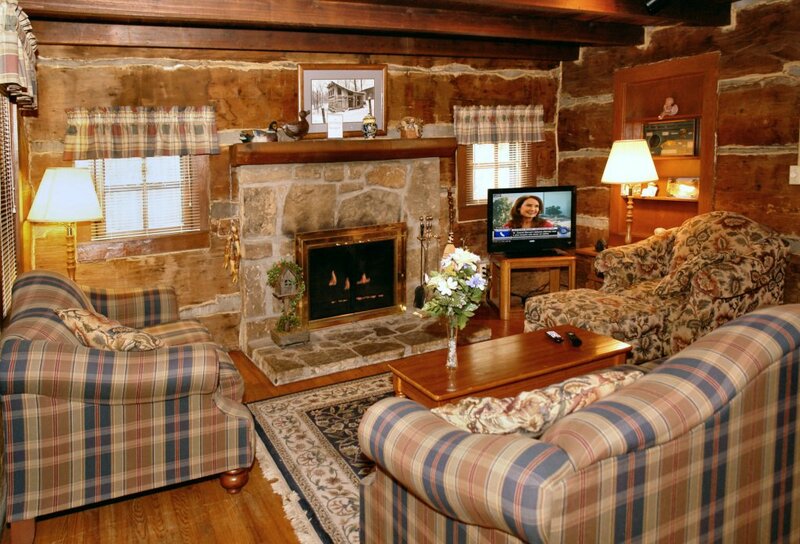 The wood burning fireplace is the perfect way to warm things up on a cold night and watch HDTV. 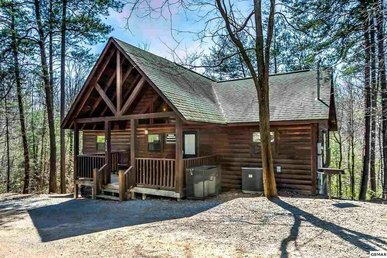 This charming cabin also has a fully equipped kitchen so you can stay in and prepare a family meal together, and is the perfect place to bring your family dog (must register pet). 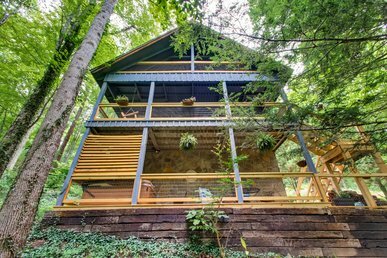 This cabin truly is a "River Dream"! 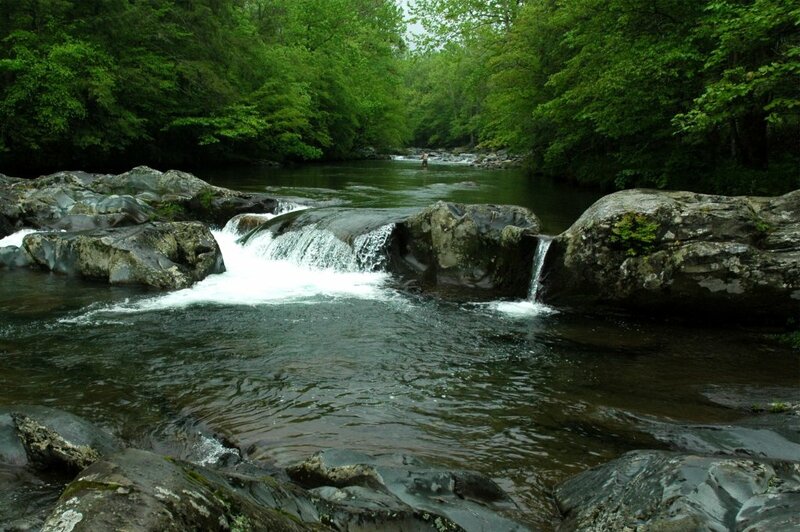 Get a fishing permit & fish off your backyard for Trout on most days. 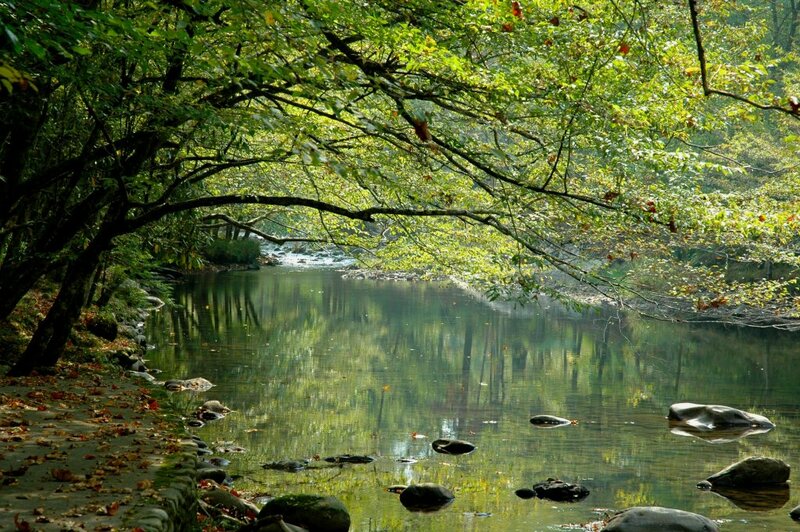 You'll love the access to the Little Pigeon River. 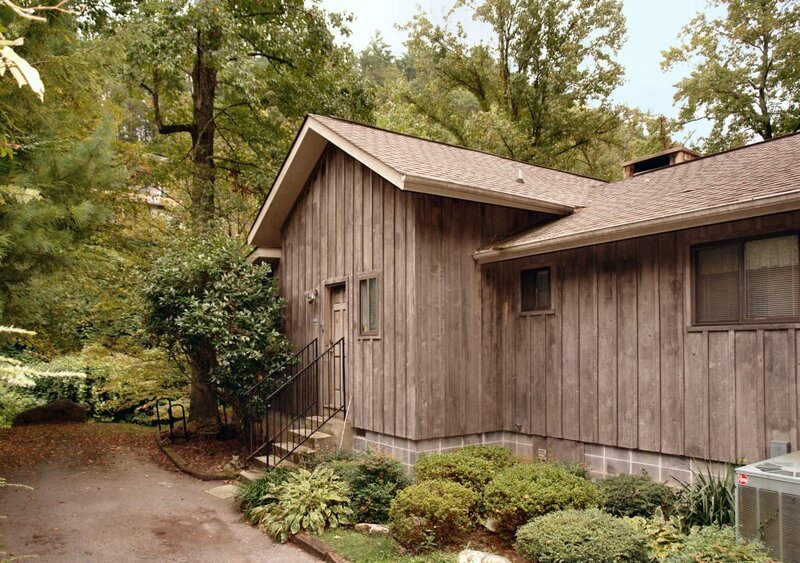 This cabin is perfect for relaxed getaways! 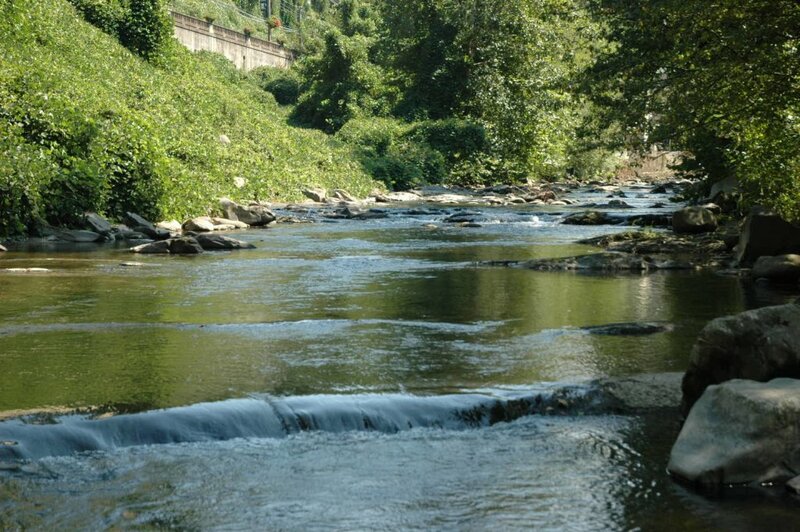 You can walk to the Trolley stop at Light #1 less than 1 mile from "River Dream." 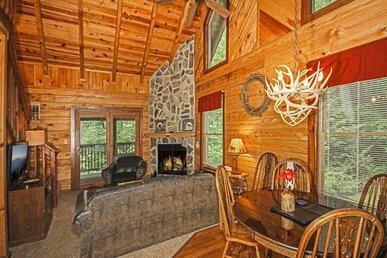 Log cabin is one of a kind sitting on the Little Pigeon River in Gatlinburg. 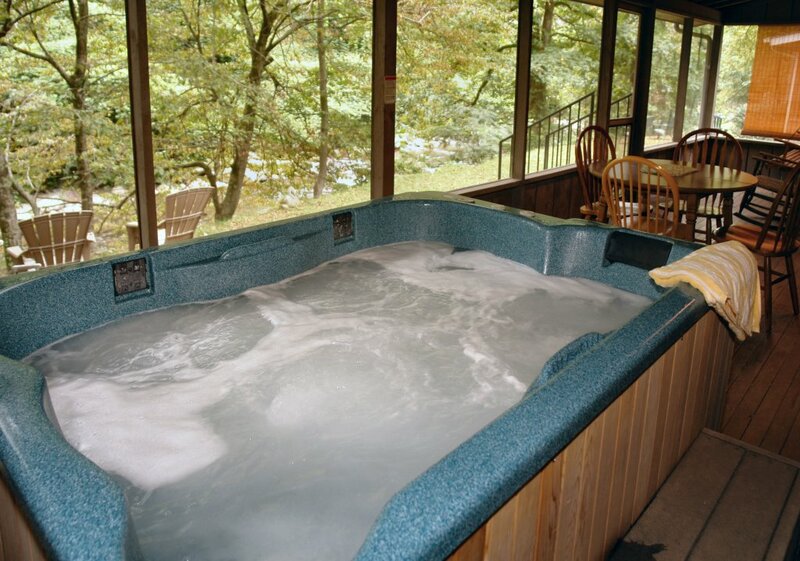 Reserve River Dream today for a great getaway! 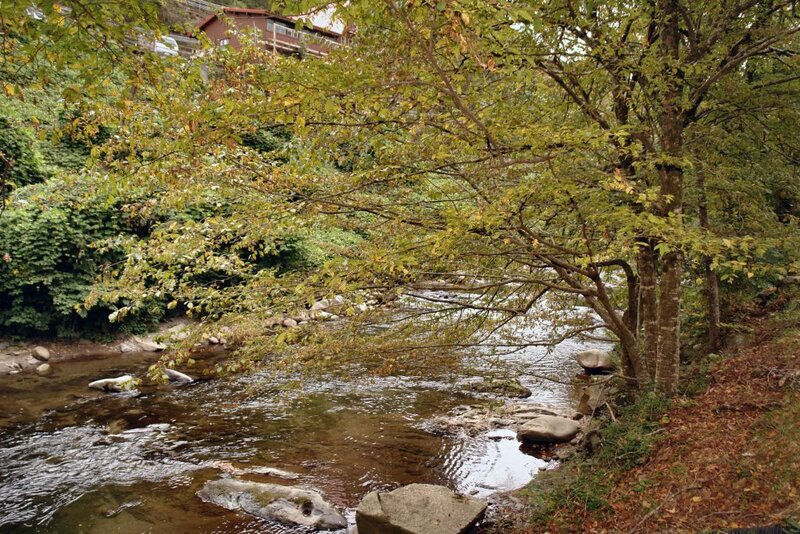 This cozy cabin sits on a beautiful babbling creek that winds around Gatlingurg. Very scenic and very soothing to listen to. 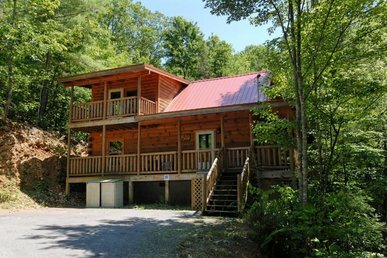 The cabin itself is in an ideal location close to downtown. We walked there the the first day. A trolley pickup is located nearby if you prefer not to drive or walk. 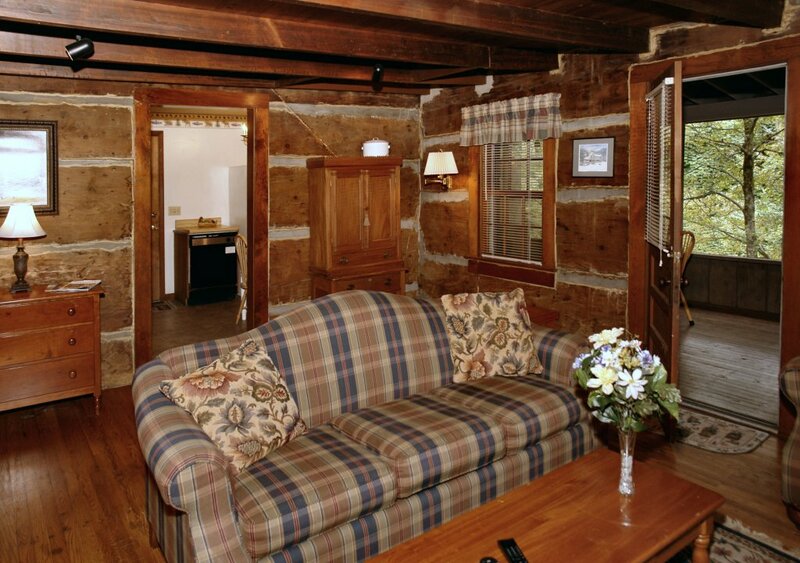 The cabin itself is very cozy and very comfortable. 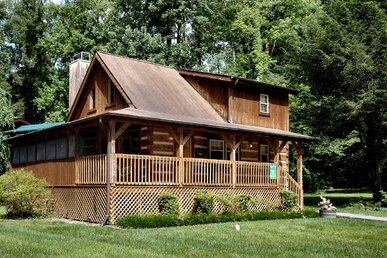 It has a large screened in porch along the back with a swing for enjoying the creek. All amenities are provided. 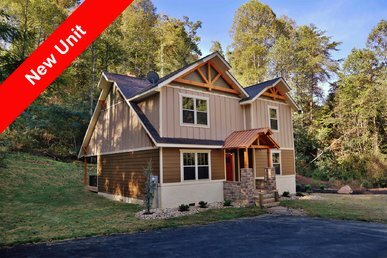 This cabin goes fast so book it quickly! It was like going back in time in parts of the home. I loved the wood burning fireplace and the sounds of the water from the porch. It was the perfect size for me and my husband.The swing was great and also the hot was close to everything and yet seems like you were in the woods. The location was GREAT. 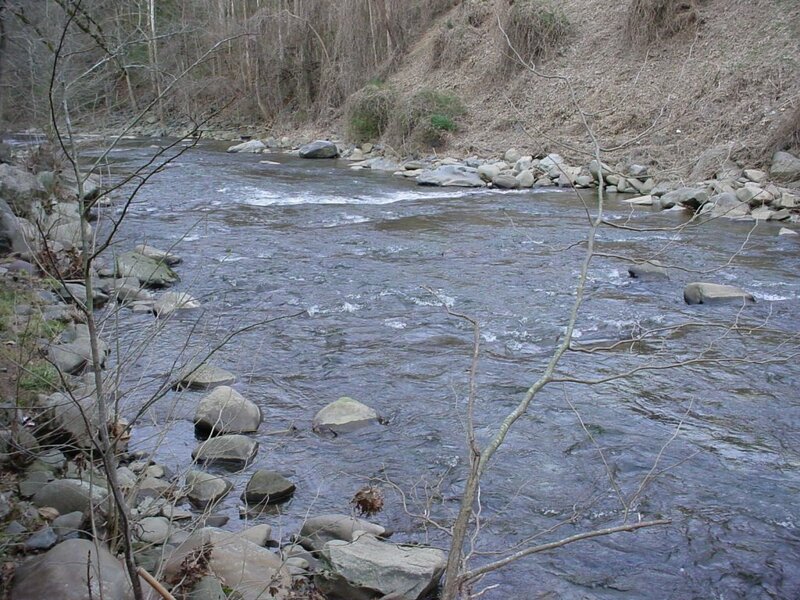 The remote in the bedroom did not work,But no big problem because I opened the back door and listened to the water and the fireplace,very relaxing.Great Place to stay just to get away from everything. 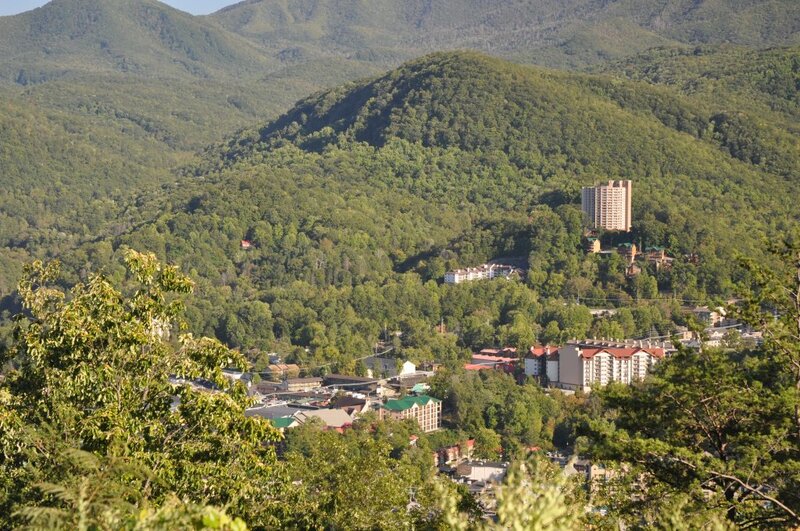 We had a wonderful time, the view is spectacular it's close enough to town to be able to walk in. My boys enjoyed fishing right out the back door and the fireplace was very much enjoyed!!! Cabin had everything you need, we enjoyed very much!!! Especially the screened porch. We will go back again. We are glad to hear that you enjoyed your stay with us and we look forward to seeing you again soon. 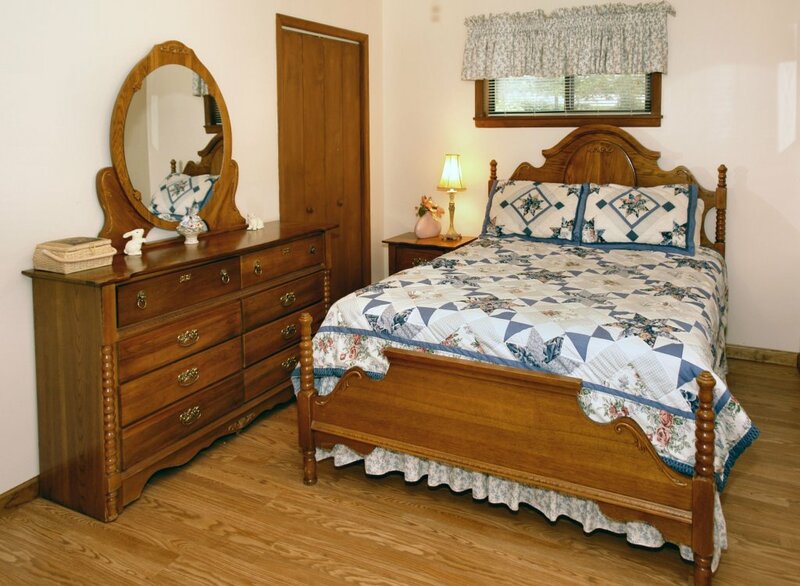 Make sure to mention you are a repeat guest at booking for additional savings. Thank you for the valuable feedback! 1. The lockbox is difficult for those who don't have the dexterity to get the key and the green key holder inside the lockbox, enter the code and snap the lock closed. One time, it took me 10 minutes to get the thing closed. Obviously, a larger lockbox would help as the key kept falling out and apparently would only work inserted one way. A bit of a pain. 2. Each day, there were ants around the kitchen sink. There are now about fifty less ants than when we arrived as I killed every one I saw. 3. For no apparent reason, one day the smoke alarm went off. At least it wasn't in the middle of the night. 4. 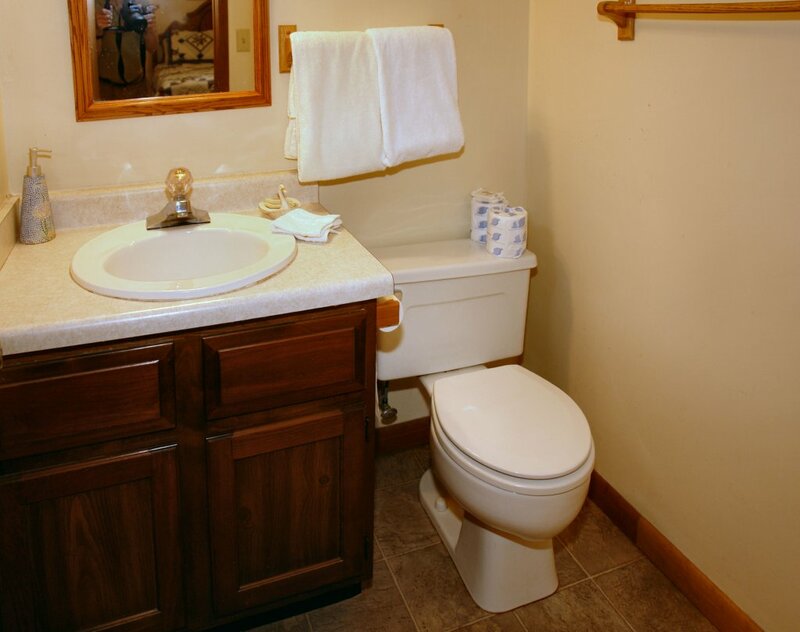 The toilet in Bedroom #2 needs attention. It takes about 10 minutes to refill the tank. We used only twice. 5. There are conflicting items on the instructions we received versus the instructions by the refrigerator. One said to clean the dishes and put them back in the cabinets. The other said to put them in the dishwasher and to start the dishwasher. We did the latter. 6. The instructions by the refrigerator (only) said to call Aunt Bugs when we were leaving the cabin at the end of our stay. There is no phone number listed by those instructions. 7. The TV remotes were a challenge to figure out. I believe one of them may need new batteries. 8. I knew we were supposed to have Wi-Fi and was waiting to call Aunt Bugs about that, until a number of hours later, I saw the letter attached to the refrigerator with the code. There had been no communication as I recall as to where to find the code. I thought it would have been in the email with the lockbox code but was not. Thank you for your communications about the cabin. The system worked well to get the email with the lockbox code and the directions. We will consider using Aunt Bugs in the future. We are sorry for the problems with your stay. 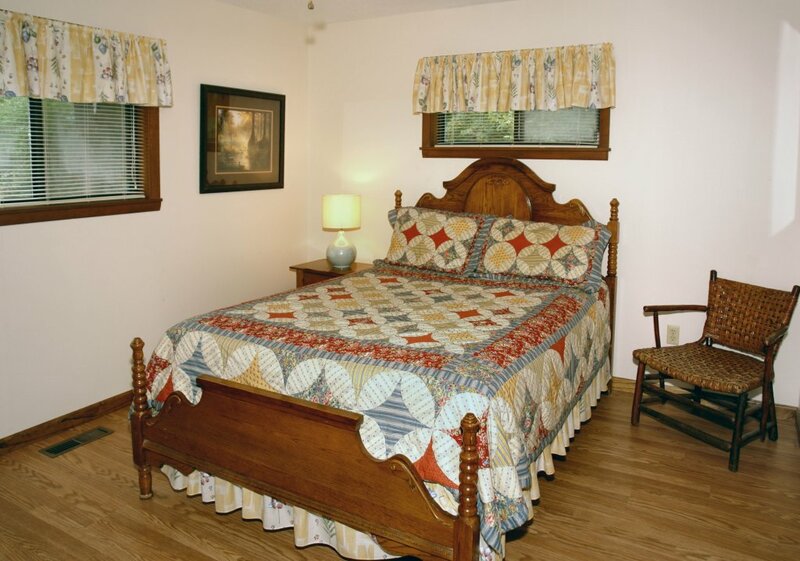 We hope to see you again soon, and make sure to ask about our Repeat Guest discount. 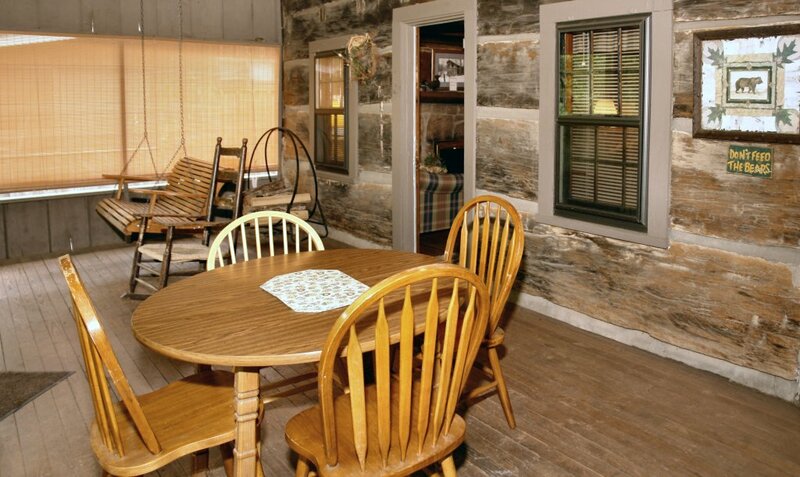 We will be working to get these issues fixed for future stays in this cabin. The cabin was cute,clean and comfortable. We loved the back screened in porch. 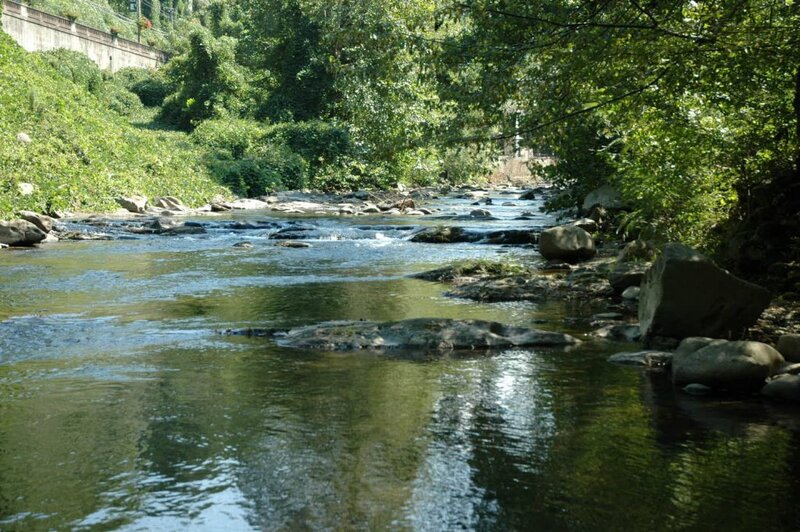 The review of the river is beautiful. We would stay again. 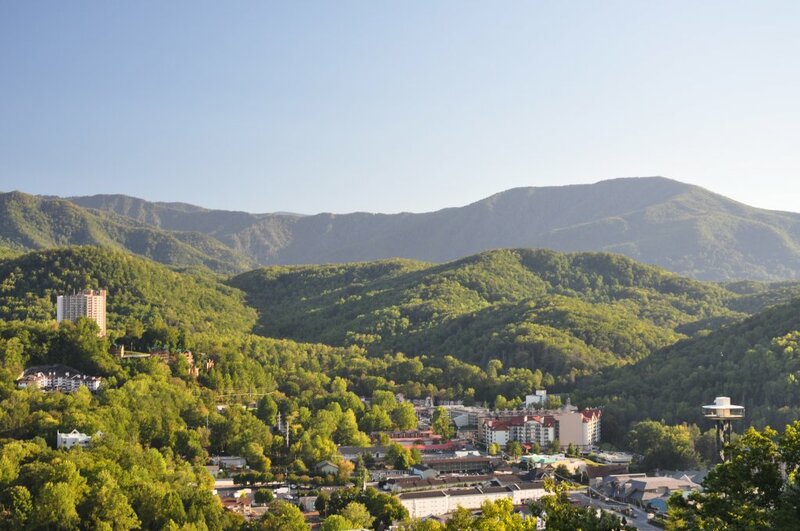 We are so glad to hear that you enjoyed your stay with us, and we look forward to seeing you again real soon. Make sure to mention our Repeat Guest discount next time at booking. Overpriced for what you get. There's a number of unfriendly "house rules" that must be followed or you'll pay exhorbitant fees/fines per rental agreement. Average nights stay was nearly double the advertised rate once all of the extra housekeeping fee, service fee, pet fee, booking fees were added on. The cabin smelled like wood smoke and was pretty dirty with debris and cobwebs, especially on the screen porch. Don't believe it has been cleaned in some time. Several safety issues. 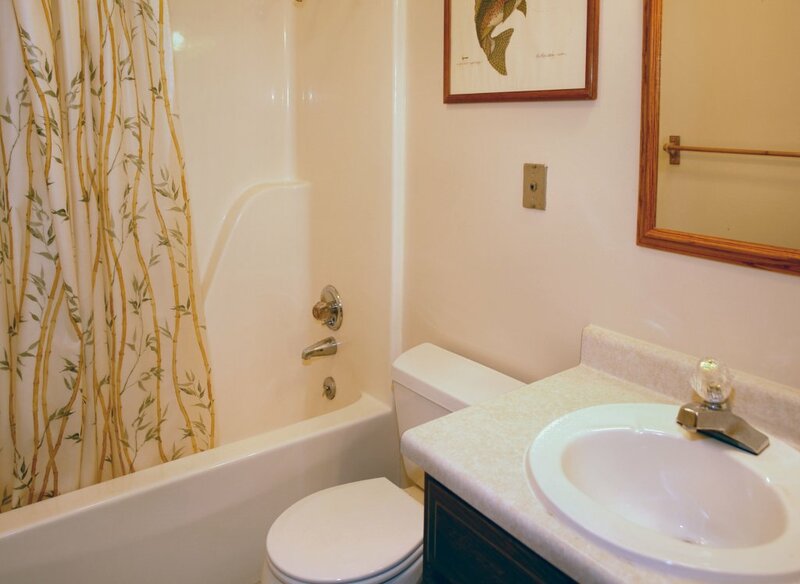 Wobbly railings on entry steps, bathtub hand hold comes off in your hands! 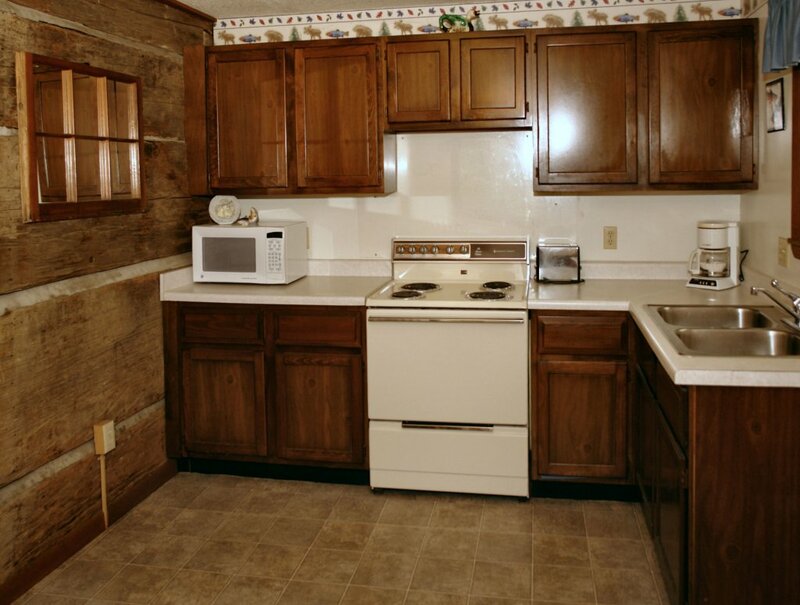 Old appliances and furniture needs updating. Cable TV service went out the first night and remained out during stay. TV in bedroom had bad screen with line burned in and needs replaced. Both TV's are old tech and needs replaced. Best I can give this property is "adequate" for 3-night stay. I cannot recommend this property and won't stay here again. Location and setting could not have been better. Loved being on the river and the back screened in porch was a big plus! 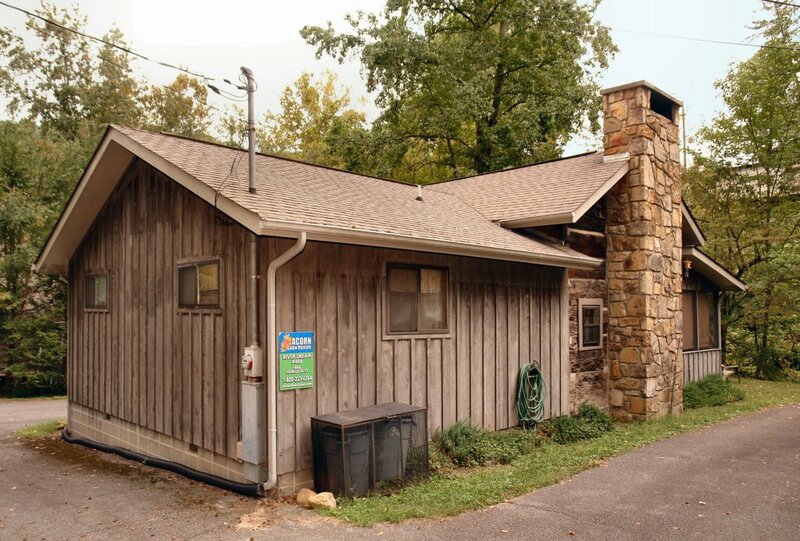 Loved this cabin . Stayed there many times.My husband lost one of our keys on hike.We were charged 100.00 for that. Way too much.Gouging! We love river dream and have stayed twice but needs a good cleaning. Walls need painting and more linens. Huge spider and spider web in guest closet baseboards and wall very dirty and dusty. Could use new cooking utensils they are not healthy with Teflon peeling. Porch lovely but needs good cleaning also. 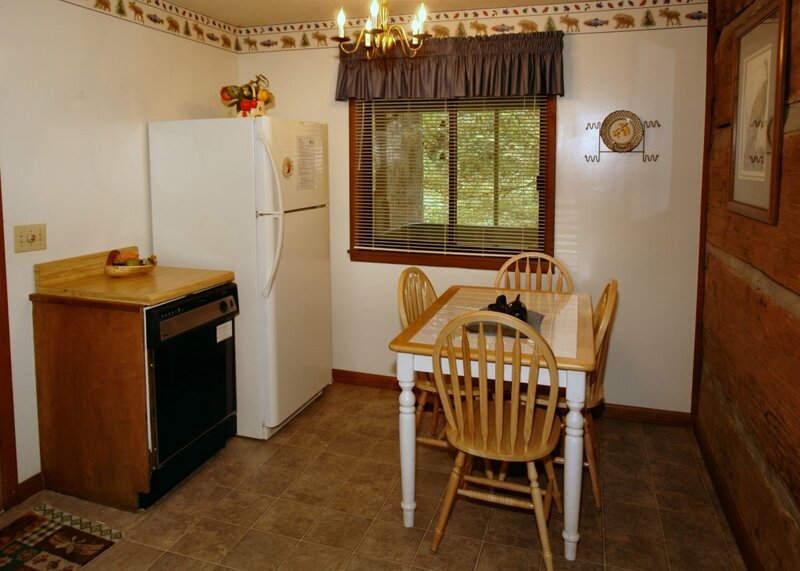 Would have to consider twice about staying again for price of unit should be cleaner.